Jay Farrar is best known as one-half of alt-country forefathers Uncle Tupelo (the other half being Wilco’s Jeff Tweedy) and for his later work with various incarnations of country-rockers Son Volt. But strip the songwriter to his core, and he’s one of the best to find his way into the great Americana songbook today. Farrar bears little resemblance to the hitmakers of our time, the Linda Perrys and Max Martins lurking behind the bubblegum ditties littering the pop charts. Farrar’s mastercraft comes in the form of stream-of-consciousness lyrics, dark melodies and a trained eye for the downtrodden, world- and road-weary—and the feelings and emotions these subjects evoke. Not that his canon is devoid of happiness, but most of his best work is his most melancholy. In his teens and early 20s, Farrar found his muse in the noise and fury of punk rock, while also demonstrating a gift for turning downbeat themes into vivid songs (“Whiskey Bottle,” about hard-living on the road; or “Chickamauga,” about the impending dissolution of Uncle Tupelo). As an older, more mature writer, he’s tackled broader social and political themes that (often obliquely) reflect his own changing worldview, informed in part by parenthood and a deepening appreciation for certain cultural touchstones of American music and literature, from Woody Guthrie to Jack Kerouac. 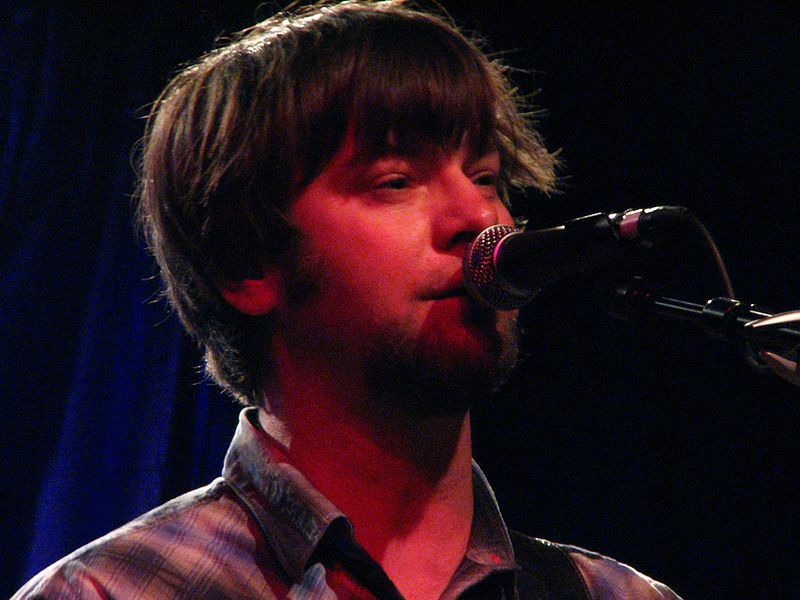 Below, you’ll find a list of the top 20 songs Farrar has written, for Uncle Tupelo, Son Volt and as a solo artist. We asked the man himself to weigh in on our top five; read his exclusive comments in the January/February issue of American Songwriter (the one with Neil Young on the cover). In fact, Farrar’s favorite is one that didn’t make our list: “Chanty,” from Son Volt’s Wide Swing Tremolo. A mournful elegy closing Son Volt’s 1997 sophomore album Straightaways, “Way Down Watson” is one of Farrar’s most poignant folk songs about the destruction of the past—in this case, the 1995 demolition of the historic Coral Court Motel on Watson Road in St. Louis. Easily worthy of a folk Nuggets album someday, this song originally appeared on Thirdshiftgrottoslack, an EP of songs that didn’t make it onto Sebastopol. The title of the collection refers to late-night musical sessions in which Farrar would experiment with alternate tunings and oddball song ideas, and the song became a staple opener for Farrar’s solo sets in the last few years. Notable Nugget: The song is possibly the shortest Farrar track of all time, coming in at just one minute and 42 seconds (it gets a slightly longer arrangement on live album Stone, Steel & Bright Lights, clocking in at 2:30). One of Farrar’s most intricately written songs, this tune from solo project Sebastopol is a compendium of bygone St. Louis neighborhoods and half-forgotten bluesmen, most of whom had local connections. More than anything, though, the song taps into Farrar’s reverence for the past, and maybe offers just a hint of his yearning to have been witness to such colorful history. Notable Nugget: The lead guitar part on the original recording is some of long-time sideman Kelly Joe Phelp’s best-recorded work. Bristling with bright, overdriven guitars, the opening song on 2005’s Okemah and the Melody of Riot—Son Volt’s first album after a five-year hiatus—signaled Farrar’s return to high-octane rock and lacerating social commentary on what is perhaps his most politically conscious album to date. “Highways” is a passenger-seat view of life on the road, in all its nomadic glory. The narrator imbues the song with a sense of gritty romance, sweetened by gorgeous harmony vocals from Shannon McNally—among the best of the many backing voices Farrar’s had, on one of the finer road songs he’s penned in recent years. A roiling ode to learning the hard way, this song from Uncle Tupelo’s Still Feel Gone seethes with churning guitars and angry lyrics flung at a world seemingly rigged against making an honest living. It’s a thinking man’s ode to inebriation, both in the alcoholic and life sense. Sure, drinking-related songs are not out of Farrar’s early wheelhouse, but this one takes on subjects like media saturation and the downfall of society at large. Notable Nugget: A solo-acoustic version from a 2004 live EP is more sorrowful than angry, and the effect is just as powerful. From Uncle Tupelo’s rootsy third album, March 16–20, 1992, produced by R.E.M. guitarist Peter Buck, “Criminals” is the clear Farrar standout. His searing lyrics create a stinging portrait of the great dichotomy of human life: “those that bleed the blood and those that work to will it,” words he sings in a voice that burns with feeling. Add a smoking, open-tuned 12-string guitar lick, and this song is a crushing, tuneful indictment of the ways in which the system keeps people down. One of Farrar’s best contributions to Uncle Tupelo’s swan song, Anodyne, you can hear the weary strain in his voice as he rolls through a lyrical slide show of impressionistic images from the road. Farrar has been quoted as saying the title refers to the literal mess of orphaned keys he had accumulated while on tour, with no idea what any of them opened. Sometimes the dreamers don’t make it out alive, and this song is for them: the cops, teachers and clock-punchers, who make the best of what they have, even as they yearn for “the life you want but have never known.” From Uncle Tupelo’s Still Feel Gone, it echoes of early Neil Young and exists in both electric and acoustic versions on the 2003 reissue. This track from Wide Swing Tremolo is a detuned opus about auto-bound wanderlust, another fantastic roadmaster’s call to arms—but this time from the perspective of the driver looking out his windshield and into the world moving around him. Notable Nugget: Farrar’s no stranger to the image of a driver looking through the front window: It pops up on “Still Be Around” (“I don’t see you through a windshield”) and on his cover of the Del Reeves classic “Looking at the World Through a Windshield,” which appeared on a movie soundtrack and a 2005 Son Volt retrospective. A more recent song, from Son Volt’s 2007 album The Search, “Methamphetamine” has the feel of an instant Farrar classic: The lyrics ache with longing for days gone by, and the narrator shows a flash or two of wry wit as he muses over a series of wrong turns in his life (“Still waiting to meet the next ex-wife”). The Son Volt hit that might’ve been, having reached alternative radio stations in the ashes of the grunge era. Another track from the masterwork Trace, from its opening riff to its last chord—and all that cowbell in between—“Drown” is a rollercoaster ride of raw emotions, accusations and caustic lyrics. Notable Nugget: To our knowledge, the only time the song was ever stripped down to its acoustic roots was for the long-off-the-air VH1 Crossroads show (and its accompanying CD). A song for “the broken-spirited man,” a demographic Farrar has long championed, this song appeared on Uncle Tupelo’s first album, the highly praised No Depression. It’s a record full of odes to the beaten-down and blue-collared (see also, “Factory Belt,” “Graveyard Shift” and the Carter Family song that provided the album title). Lyrics about “drinking ourselves to sleep” apply equally to working-class angst and any musician who’s found himself lonely and listless on the road. Notable Nugget: In recent years, several fantastic versions of the song live have popped up on YouTube. One of Farrar’s best songs from the Son Volt-hiatus period between 1999-2004, “Barstow” dives into a post-apocalyptic vision, with rising waters, rivers running dry and landfills loaded with traces of human existence. Harmony vocals from Gillian Welch and steel guitar from David Rawlings help flesh out his vision of the hell that awaits us in Barstow, West Texas. Notable Nugget: Farrar has occasionally made a slight alteration to the song in concert, singing, “If it breaks in two”—maybe an indication of just how personal these lyrics are. Or maybe not. What can you say? The title makes the subject pretty clear. And the lyrics tell of yet another weary soul looking for an escape—however brief—from artifice, greed and the dehumanizing grind of life on the road. (The narrator even ranks devil water over religion.) Sometimes a strong belt of the hard stuff is the only real cure. Named for a particularly bloody battle during the Civil War, this song is often seen as an allusion to the increasing dysfunction within Uncle Tupelo that led, all too soon, to the band’s dissolution. Even the music radiates turmoil, from the terse opening riff to the ferocious guitar solo that brings it all home. Notable Nugget: The song has been a staple of Son Volt’s encores since Farrar reactivated the band in 2005. It’s one of the group’s most explosive numbers on stage, not least for the way Farrar rips into the outro solo, demolishing his guitar’s whammy bar, Neil Young–style. The opening track from Trace, Son Volt’s masterful debut, this road-weary salve is the ultimate driving music for 2 a.m. in the middle of nowhere: “May the wind take your troubles away/both feet on the floor/two hands on the wheel/May the wind take your troubles away.” Might this have been catharsis after the dissolution of Uncle Tupelo? Notable Nugget: Live, the song’s false ending has often stumped unsuspecting (and drunken) concertgoers. Nary is there a Son Volt or Farrar solo show when a gaggle of listeners clap before the song is actually over.